Many of our customers love our products so much, they return to buy more. Eric is a prime example of this where he first bought our black series LED reverse light bulbs and came back to buy our LED license plate lights for his car. 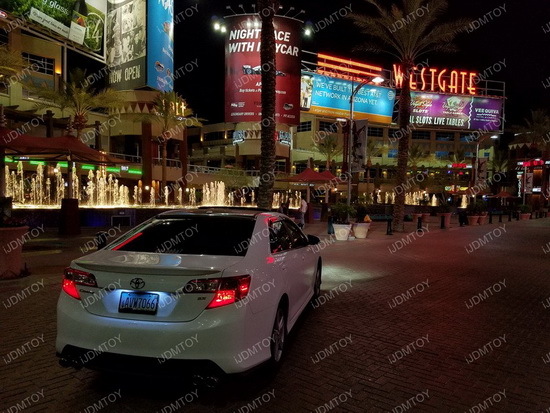 It looks great on his Toyota Camry and can’t wait to see what else he has in store for his build. He is just one of our loyal customers that we want to show appreciation towards and there are many out there as well.